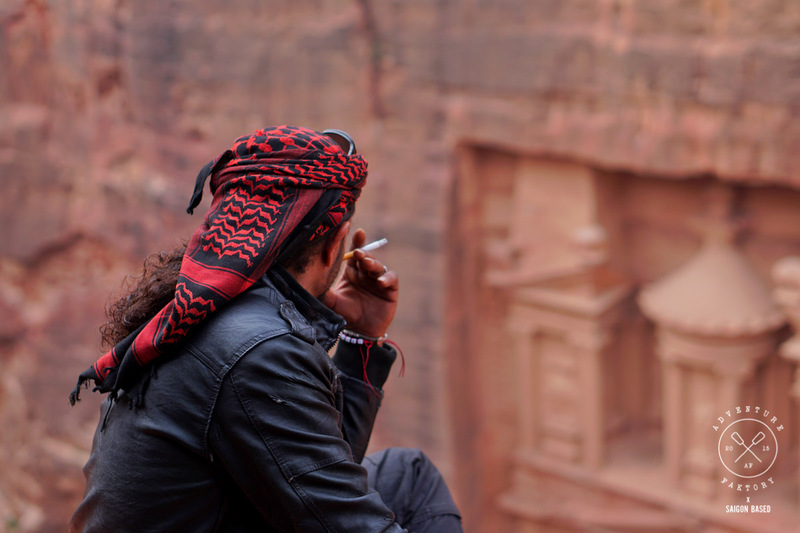 Planning a trip to Jordan soon and wondering if you need 1 or 2 days for Petra? 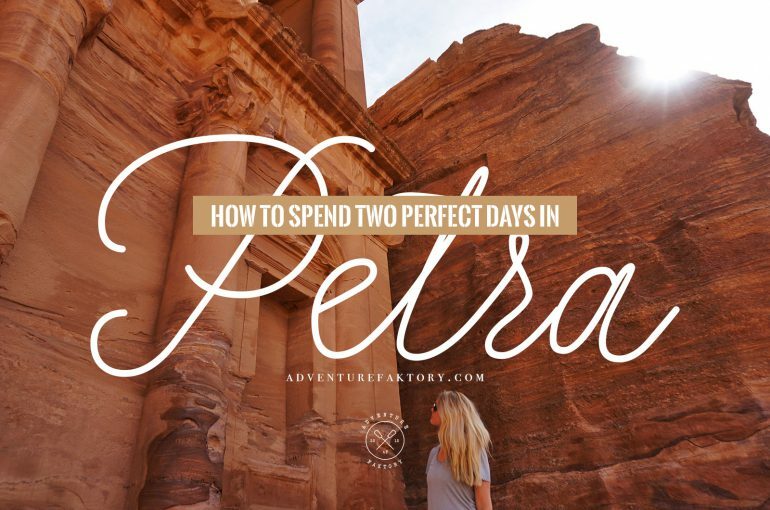 Opinions may differ, but here is a 2 day itinerary that will make your Petra journey unforgettable. 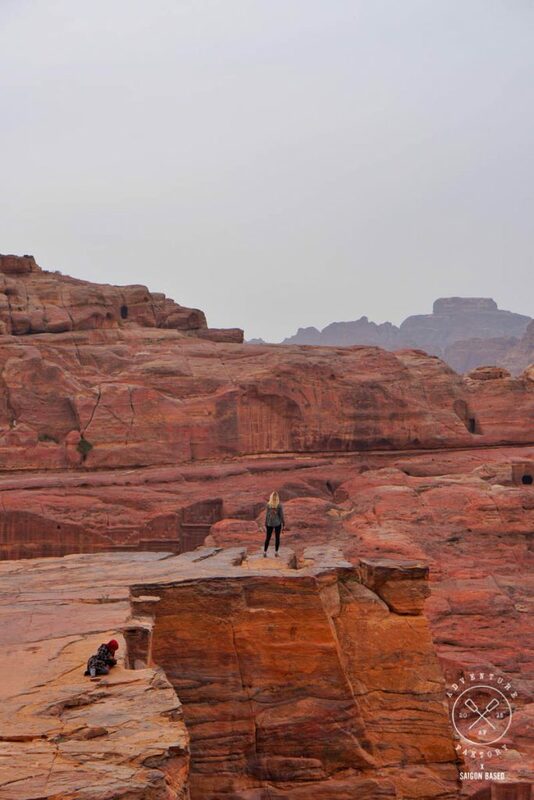 Petra is a place in which the best experiences cannot be planned for. Sipping tea with the Bedouin or rounding corners to forgotten monuments are things that just do not belong on an itinerary. 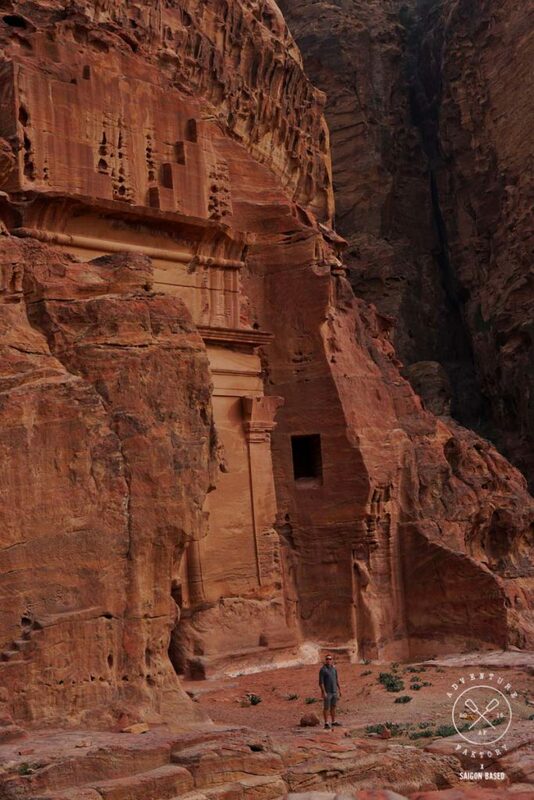 However, your time is limited and you want to ensure that you see everything that Petra has to offer. In two days, this is well within your reach. An open mind and a flexible schedule will only enhance your plans. 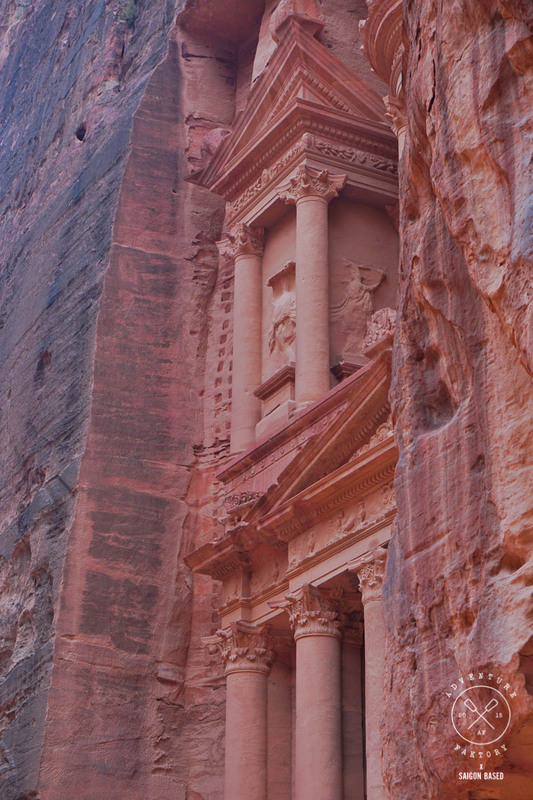 Be sure to buy your Jordan Pass with a Two Day Petra ticket to see all of Petra’s secrets. 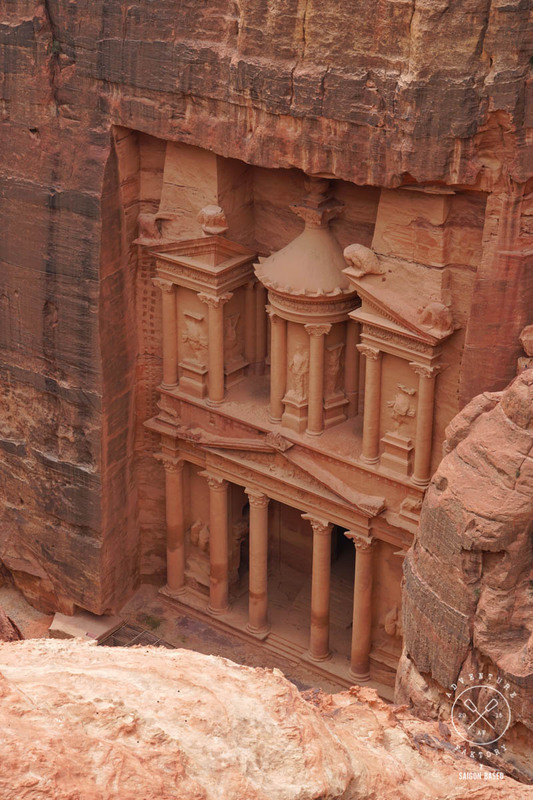 On your first day in Petra, we recommend knocking off the most iconic sights. 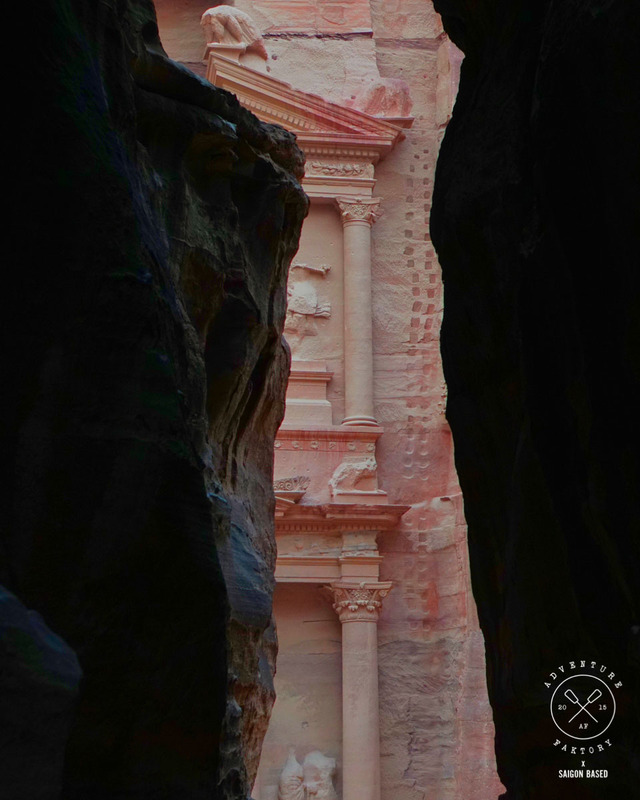 Nothing beats the anticipation of walking through the narrow gorge that will lead you to Al Khazneh (The Treasury) and viewing what is arguably Petra’s most legendary monument up close and in person. Do it early (7AM) to beat the tour bus crowds. After you’re done admiring The Treasury, move to the Street of Facades. Glance up from the main dirt path and you’ll see dozens of facades housing ancient tombs – the term Necropolis really becomes real. There are modern bathrooms near the theatre. Save the exploring for tomorrow and keep moving. 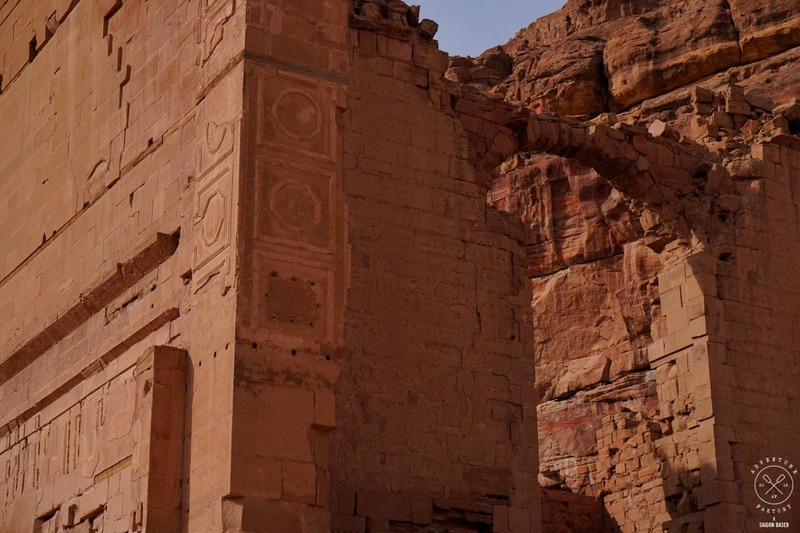 The main path will bring you to the City Centre where you can see one of Petra’s only freestanding structures, Qasr Al-Bint. There is also a great lunch place here to keep in mind after the Monastery. When you get to the Monastery, enjoy the view from The Cave restaurant with a lemon mint drink. Explore the surrounding views, such as the lookout that is situated just beyond The Cave. Walking around the area will also give you some unique views of The Monastery itself. Stop for lunch at the place near the museum and Qasr Al-Bint. They have a buffet option or a falafel option. 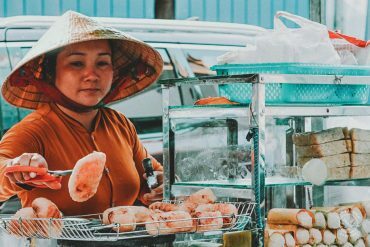 Portions are more than enough to give you your second wind for the hike ahead and the long walk to exit from the area itself. The highly rewarding off-the-path journey from the City Centre to the High Place of Sacrifice will take you over the other side of the plateau that is visible from the main path. You will get to see many interesting sites not otherwise visible from the main path. It will also give you a unique view of the Street of Facades and put you in an advantageous position to exit Petra in good time. The normal way to visit the High Place is to begin at the Street of Facades and hike directly up some steep steps. 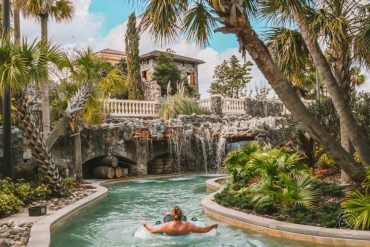 Our recommended way will have you going down those steps and taking in the view below. Do not miss the High Place itself (distinguishable from afar by its obelisks), with its creepy carved out channels said to direct the flow of sacrificial blood. Your legs deserve a rest! 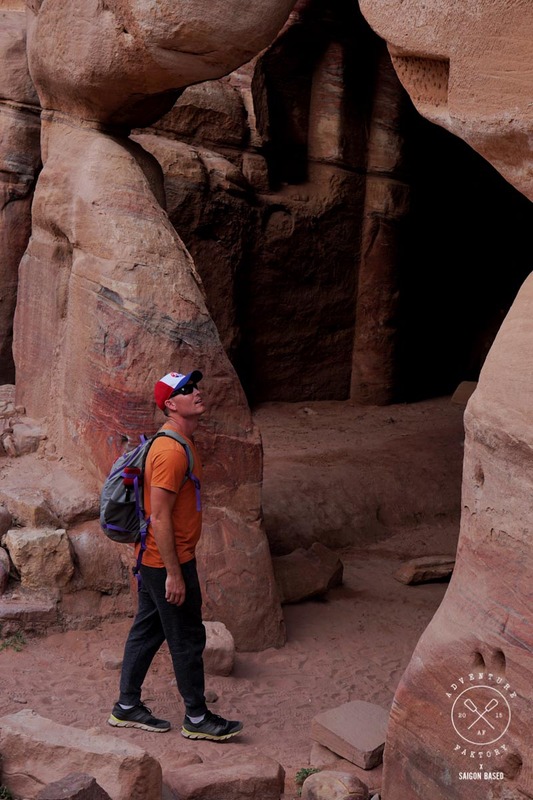 Have a strong Petra Beer (8.5%) at the iconic Cave Bar in Wadi Musa and begin planning for your second epic day. On your way back to the hotel, stop at a grocer to buy some bread, labneh, dates, hummus, and fruits for your picnic tomorrow. Also don’t miss Sanabel Bakery where you can pick up some delightful Arabic sweets and try your best to save them for tomorrow. When back at the hotel, you can further plan ahead for your next day by asking your hotel staff to help you book a nice Turkish Bath experience – a necessary recovery method for your sore muscles! On Day 2, you will wake up hungry to see another side of Petra. 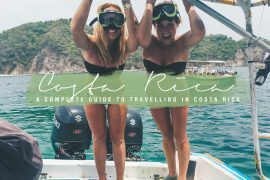 This is your chance to appreciate her most legendary sights again, while going deeper into the nooks, crannies, and unique perspectives that one-day visitors sadly miss. Sleep in a little bit as there is no rush your second time around. You may choose to experience The Siq one more time, which is just as magical. If you want to enter Petra a different way, consider entering via Wadi Muthlim. A guide is required for this hike. 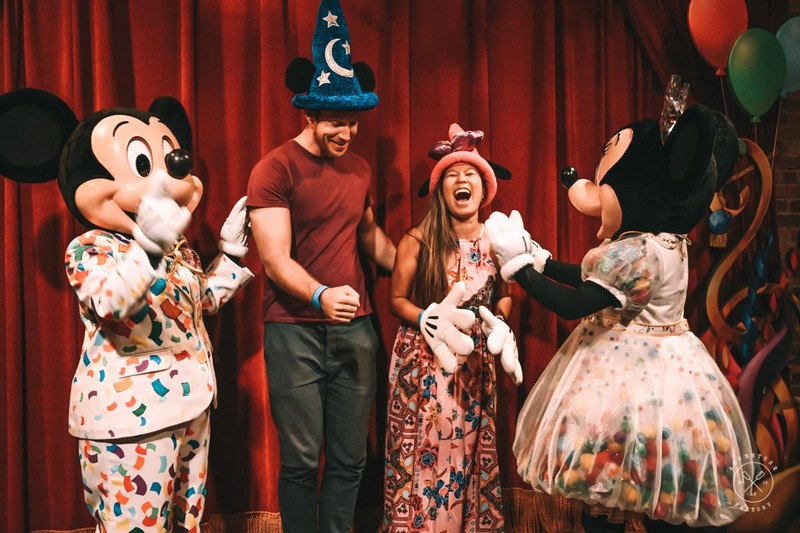 Note that it takes two hours, so may significantly alter the rest of the recommended itinerary that follows. Not to be confused or diverted by the Bedouins offering a view from above The Treasury (they mean a steep, treacherous, guide-only hike to a tiny lookout), opt instead for a self-guided, self-paced hike called Treasury Vista II via the Al Khubtha trail. This trail is comprised of 600 beautifully preserved steps carved right out of the rock. It begins just beyond the Royal Tombs and is marked with an official sign. There are several Bedouin men and women selling coins and souvenirs along the way who will guide you to the base of the steps. As you get higher and higher, the steps turn to a flat dirt path which will turn into rock as hand made signs lead you to your reward: a cozy Bedouin hut with cushions and the best tea view you’ve ever seen. On your way back down the Al Khubtha trail, find your own little slice of rock, perhaps with a view of the theatre below, to enjoy your packed lunch. When you return to the Street of Facades, explore to your heart’s desire to make up for what you skipped past on day 1. 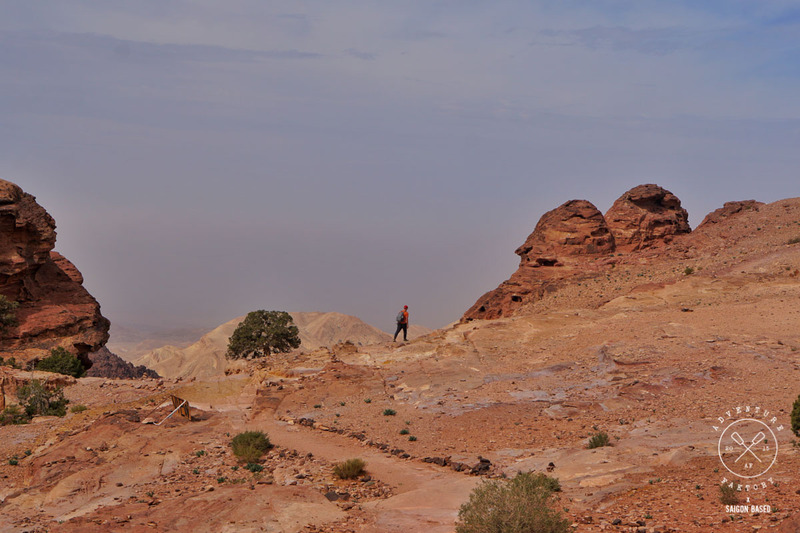 Petra, unlike many famous archaeological sites, as few barriers to what you can explore. With respect and preservation in mind, you can enter its ominous caverns and traverse its steep walls. Go slow and punctuate your leisurely stroll with frequent tea stops. The Theatre, the Royal Tombs, and the Silk and Urn Tombs are all worth taking in up close. We also enjoyed exploring the area directly across from the souvenir and tea shops located near the outer Siq. Sit by the theatre near sunset to watch the setting sun light up the Royal Tombs. Once the sun has almost set, make your way back to the Treasury for one last look before it is time to leave through the Siq. 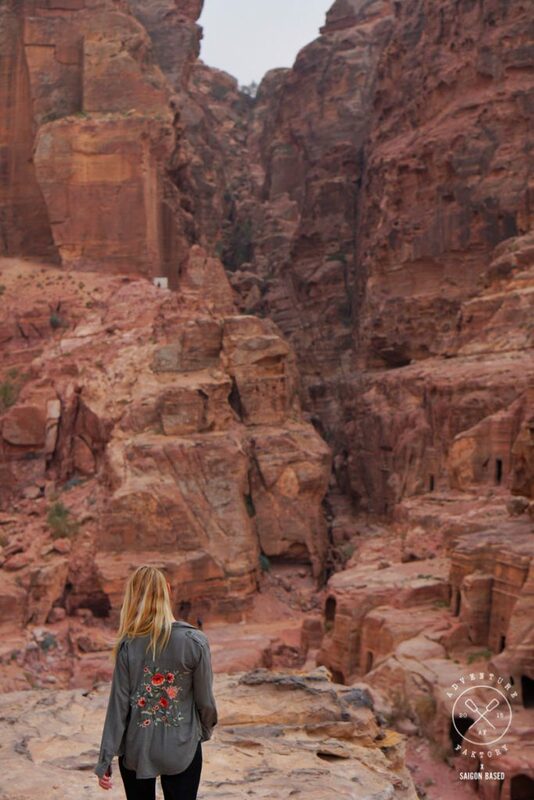 If your legs are just done, you may enjoy exiting Petra on horseback or via chariot. The locals who offer the horseback and chariot rides will use their full persuasive talents at this time of day, knowing how tired you are from your visit. If you feel it will add to your experience, demand that the animal is healthy looking and negotiate the price of the relatively short ride. 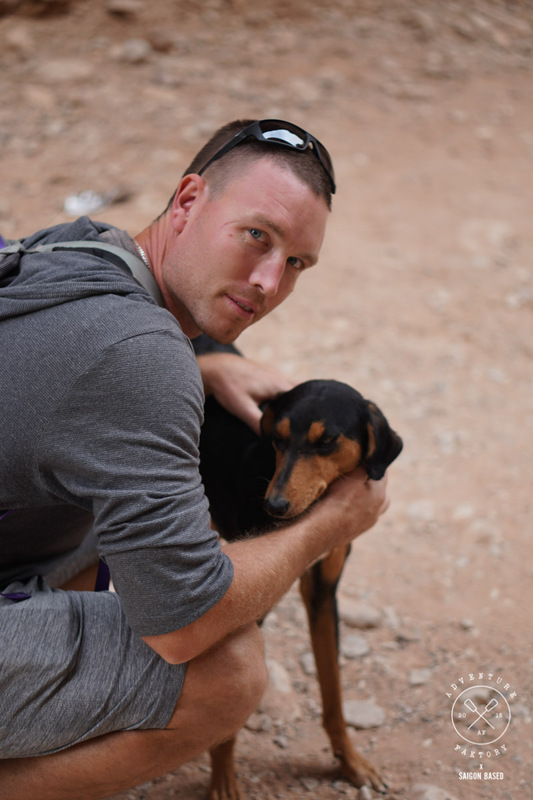 If riding animals is not for you, opt to just pet the stray dogs like we did! Ease your muscles with a hands-on Turkish Bath treatment as arranged by your hotel. Ensure you are comfortable by asking how to best prepare and for a place that happily accommodates women. 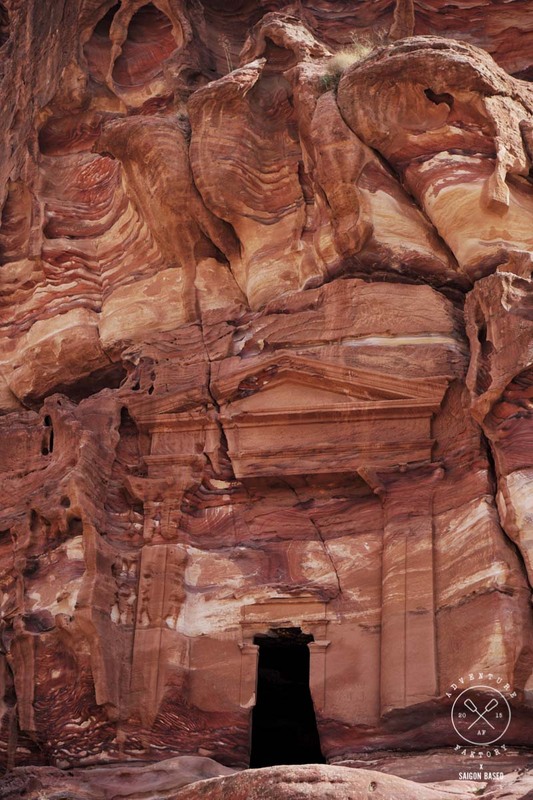 To visit Petra is to walk in the footsteps of the ancients, the Romans, and the explorers. 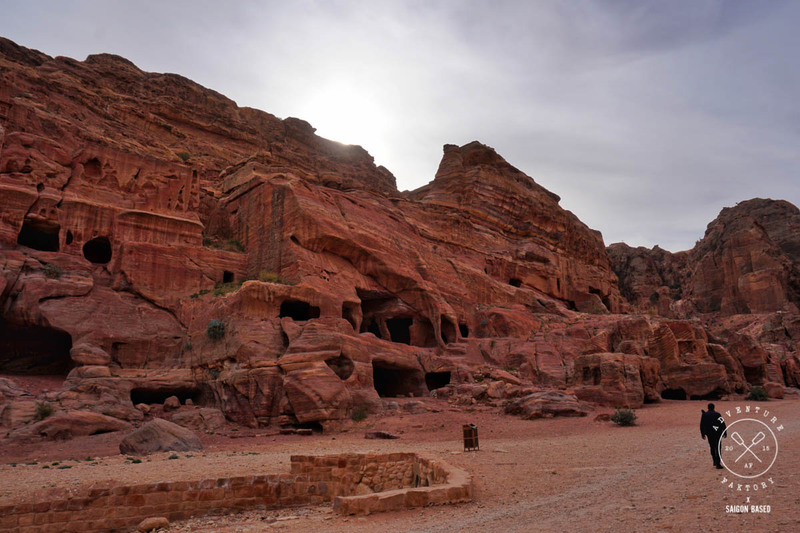 It is to share the legendary monuments with the modern-day locals, the Bedouins. You can leave feeling satisfied that your Petra encounter was full and complete. No doubt the memories of this mysterious ancient city will stay with you for quite some time. 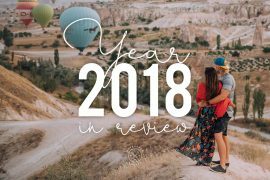 Have you ever visited Jordan? 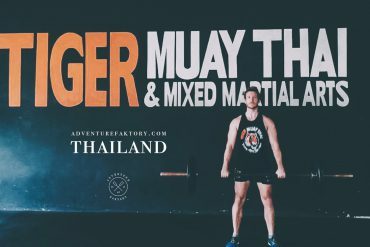 Share with us your experience if you have been! 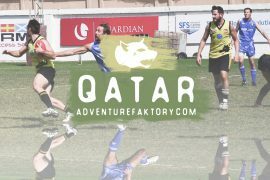 You can also read more about Jordan to make your journey a memorable one!